HMD Global will launch a range of smartphones at the upcoming MWC 2018 event scheduled for February 25. We have been hearing about upcoming Nokia phones that might be Nokia 9, Nokia 7+ and Nokia 1 etc. Now, the first press shots of the Nokia 7+ and Nokia 1 have surfaced. This leaked image shows that the Nokia 7+ will be Android One edition. The leaked images are shared by none other than Evan Blass. He posted on his twitter the phone in White and Grey colors with Orange accents. 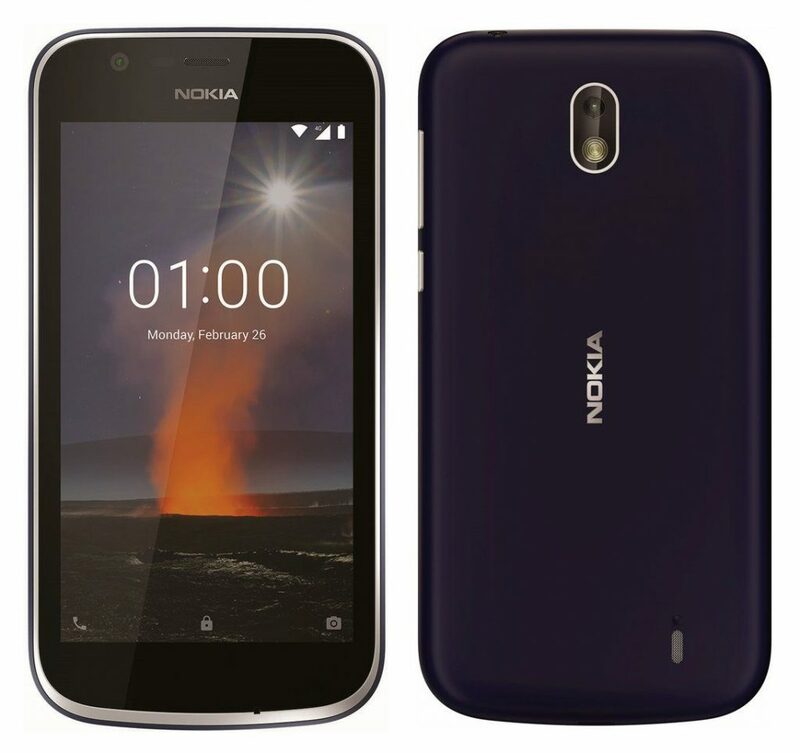 Moreover, images of Nokia 1 phone have also been shared by him. HMD Global had already launched the Nokia 7 in China and now it seems HMD Global is planning to launch an upgraded version of the Nokia 7 at the global level. As suggested by the earlier leaks, the Nokia 7+ will be the first phone from the company to feature an 18:9 display, and so is confirmed by the leaks. Earlier, the Geekbench listing of Nokia 7+ has revealed its specs. The Nokia 7+ will feature a 6-inch FHD+ (2160 × 1080 pixels) 18:9 2.5D curved glass display with Corning Gorilla glass protection. Nokia 7+ will be powered by an octa-core Snapdragon 660 Mobile Platform with Adreno 512 GPU. Memory wise it will be packed with 4GB RAM and 64GB internal storage which is expandable up to 128GB with microSD. Camera wise, the phone will sport a dual camera setup at the rear. There will be a 12+ 13MP rear dual cameras with ZEISS Optics, and features like 2X optical zoom and dual-tone LED flash. There will be a 16MP front-facing camera with ZEISS optics, f/2.0 aperture, and Tetracell technology. The Dual SIM will be running Android 8.0 (Oreo) which is also upgradable to Android 8.1. Connectivity options include 4G VoLTE, WiFi 802.11 ac, Bluetooth 5, GPS + GLONASS, and USB Type-C. There is back mounted Fingerprint sensor. The phone will also support fast charging. Additionally, Nokia 1 press images have also been leaked in Black and Red color. It is the company’s entry-level smartphone and its earlier rumors suggested that it will be the Android Oreo (Go Edition) phone. So, it will come with 1GB of RAM and 8GB of internal storage. Now, the press images that have surfaced show that it has huge bezels around the screen, just like any other budget smartphone. It will likely come with a removable back. Also, it has a speaker grill on the back. It also seems to have a smooth back cover and an HD IPS display. If we look the lock screens of the leaked images of the phones, February 25 and February 26 dates are mentioned. So, we can expect the phones to go official at the MWC 2018 this month. HMD Global has already hinted the launch of the flagship Nokia 9, entry-level Nokia 1 and Nokia 7 Plus at the MWC 2018 event.